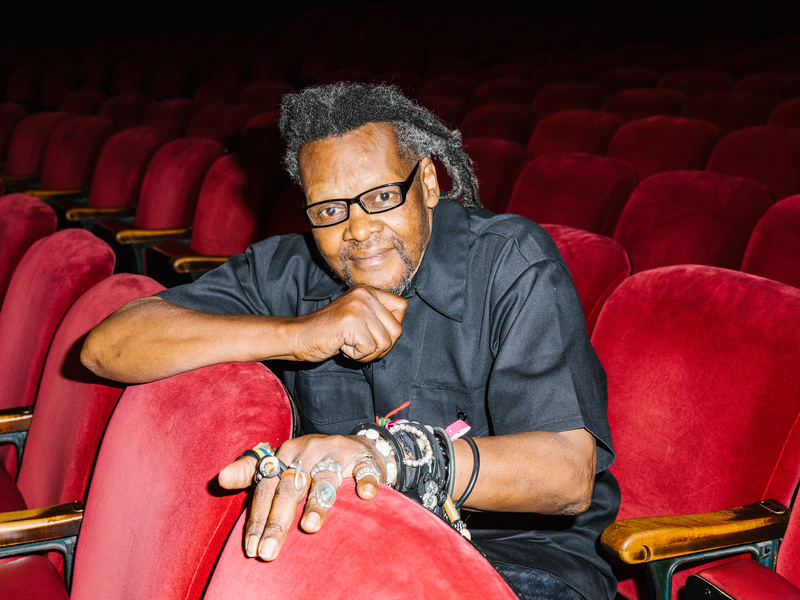 The fact that Lonnie Holley is only now, at the age of 68, truly announcing himself on the musical stage should be surprising. Honestly, though, it registers as one of the more mundane details of his life story. 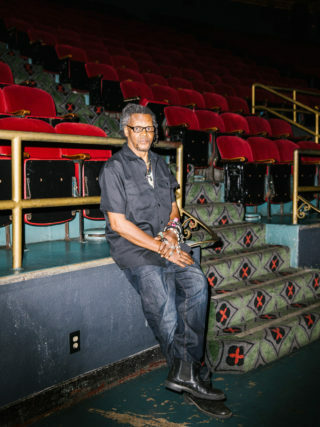 He was born in Birmingham, Alabama, in 1950, meaning that his tumultuous childhood played out against the backdrop of a segregated Deep South, under the long shadow of Jim Crow laws. The seventh of twenty-seven children, he was working by the age of five, by which time, he once claimed, he had already been traded by his adoptive mother to a different family for a pint of whiskey. His early life saw him working as everything from a litter-picker to a grave-digger, surviving a serious car accident, and spending time in juvenile detention. Chaos reigned through the entirety of his childhood – if you can even describe it as one – as well as most of his twenties. At the age of 29, he became an artist, working primarily in sculpture and using any materials he could find as part of his craft. He would paint and draw and take photographs, but it was in sculpture that he found he was most able to realise the narrative arcs that were dancing in his brain, made all the more vivid by the intensity of his experiences to that point. He had seen and been subjected to brutality, and had learned first-hand the power and value of endurance. All of it began to spill out of him, and many of his early works are defined by themes of violence and redemption. By the nineties, his work was being exhibited in museums and galleries, as he was taken under the wing of Atlanta art collector William Arnett, a longstanding champion of southern African-American artists. Since then, Holley’s art has been displayed everywhere from the United Nations to the White House Rose Garden. He’s with Holley in Denver, in the thick of a run of dates supporting Animal Collective. Once Arnett found the means for Holley to make some actual studio recordings, his undefinable style – and the excitement that came with it – spread like wildfire. Deerhunter took him on the road. Bon Iver sampled him on ‘22, A Million’. He’s worked, in different capacities, with a slew of contemporary artists since – everybody from Julia Holter to the late, great Richard Swift, and the only characteristic that the long queue of would-be collaborators have in common is that they are deeply experimental in their own endeavours and would surely have been hit like a ton of bricks by Holley’s work, so utterly devoid is it of boundaries. Now, after a drip-feed of sporadic releases, he’s putting out ‘MITH’, a third album that in many ways feels like a debut; an announcement of a genuinely singular talent to the world. He may have recorded in conventional studios with conventional instrumentation but that is where anything that might be by-the-book about ‘MITH’ ends, and just like his sculpture, he strives to put across his message by any means necessary. Genre divisions are made a mockery of as he floats amorphously between ambience, jazz, spacey electronica and funk, all of which – like his art – simmers with African-American tradition. At the centre of it all, his remarkable voice, howling impressionistic takes on everything from Black Lives Matter and the present state of America to nature and the human condition. The centrepiece is the operatically intense ‘I Snuck Off the Slave Ship’, seventeen minutes that chronicle African-American history in a manner that only somebody of Holley’s remarkable experience and wisdom could. Here, he discusses his journey in his own words. It’s just that I haven’t been going into studios or performing. As I got older and was able to get hold of something to record myself with, that was when I was finally able to make a document of my musical expression. That was in the late eighties. A lot of those recordings were destroyed. The avenue, or highway, for my experience as a professional musician began right after my first album, in 2012. Matt took a couple of pieces of mine and said, “I’m going to try to get you into a studio.” We ended up in a place called Gee’s Bend, Alabama, where Matt was recording some of the older singers from that area – gospel singers, and the like. I think a lot of the time, their earlier work gets lost in the archives of the Library of Congress, and Matt was interested in replacing those lost recordings. I put down a song there called ‘Six Space Shuttles and 144,000 Elephants’. That’s where it all started. I think my reasons for making art and music are probably very different from a lot of other people’s reasons for doing so. That’s not me saying I’m better than anybody else; it’s just that I’m not trying to reach any one perceived audience. I don’t have any expectations for how the musical field should harvest what I put into it. I’d never played in a church before I made that recording; I’d never played in front of other people before, either. I was just a person out there who was making a noise. But the same force draws us all together. The garden is planted from many seeds, and what comes from those seeds is, a lot of the time, very different from each one. That’s a positive thing, because our earth – what we call and consider to be the mothership – needs many different methods of healing, and that’s what we’re all trying to figure out and channel through our art. Once we heal the earth, it’ll be a better place for all humans to live on, and create in. That’s why, maybe, my music has appealed to all of these different creators. I’m never thinking about just one individual. Plus, my music is only one strand of my art; I have to keep reminding people that my music and my art are like Siamese twins. They’re coming from the same brain! It’s all drawn from the same well of thought. It may seem as if I’m putting a different bucket in the way of the drip, but it’s the same water that I’m collecting every time. That way, I’m never done. It’s like I’m writing part of my own memoir, but then I’m folding up that part and throwing it into the trash can – not because it isn’t good, but because my life isn’t finished yet! I gravitate towards ideas, then move on when I’m done with them. I remember when I did a string of shows out west, right when I was first starting to tour, with Deerhunter, we were in Nevada, and we saw some tumbleweed blow by. I asked Matt to write it down in his notebook, which he brings everywhere to track my ideas. Every one of those shows, I played a song about how we’re all tumbleweeds; we drift from place to place, and we wind up being in people’s lives, and then the wind changes and all of a sudden, and we’re somewhere else. We played six shows, and the lyrics were different every night, but the theme was the same. Then, I went out to record a version of it in Oregon with Richard Swift. That version was different too! The next concert I played, a while later, we were making up the setlist, and Matt said, “tumbleweed?” and I just said, “nah. I’m done with that.” The idea had served its purpose for me. Literally, in some cases. So much of what I respond to in my writing simply comes from what I’m seeing each day in front of me, with my own eyes. We were just in Austin and it was so hot that you could fry eggs on the sidewalk. Now, we’re in Denver, and all of a sudden, there’s flash floods. I woke up this morning thinking about everything I saw yesterday; puddles of water big enough to be considered lakes, and the South Platte River running so fast, like a burst of energy that you have to grasp once it comes through. All of this was happening in the shadows of the mountains, and the further you try to get up those mountains, the more dangerous it becomes, because of what we, as humans, have done to the quality of the air. It gave me the idea for a new song to sing tonight – ‘I Was So Close to the Mountains, But Never So High’. The first real artworks I made were tombstones for my young niece and nephew, who lost their lives in a house fire. I was honouring their death, and ever since I think I’ve always been honouring the death of something. What it’s taught me is that we need to grab something positive from every life, because that’s where knowledge and wisdom come from. We should try to grab it before it turns into history. The mothership is full of wonder. You know, I never had the opportunity to travel much as a young man. In fact, I never had the opportunity to travel much as a grown man. Now, as an artist in my sixties, I’m going through all of these different types of environment, and wherever I go, I’m spreading a message of why we must learn to be thankful. If we could all just wake up that way, instead of cussing and fussing and hollering, focusing on pain and stress and being distracted from appreciation, we’d be able to say “good morning” to people and really mean it. There’s a song about the state of the country on ‘MITH’. It’s called ‘I Woke Up in a Fucked-Up America’. We just released the video for it last week, and Matt tells me it’s been getting a fair amount of attention – being written up, being shared, and I haven’t played it once since! I’m just not feeling that angle right now. Instead, the last few nights, I’ve been playing a song called ‘Send Help! (I’m in America)’. It’s changing every night, but it’s like a reporter’s account of everything that’s happening recently; families being separated at the border, the lack of health insurance, these natural disasters that keep springing up, and the government forgetting about the vulnerable. The refrain is me shouting out that SOS – send help, because it sounds as if I’m talking about some African nation rather than America. I mean, it’s things like, “send help! My baby’s dying because I can’t afford healthcare.” That kind of response seems more timely to me right now, because ‘I Woke Up…’ was more about realising how things have changed. Now, we’re all awake. And we’re shouting out for somebody to hear us. I’m having to be truthful with you. Each scene, and each place, projects a different attitude. It’s why my lyrics are never the same twice. When we were in Europe, we kept seeing two things as we were travelling from city to city, and country to country; castles and communication towers. It made me think about how that must have shifted the attitudes of the kings and the queens over time – when that point came, when they didn’t have to leave the castle and be amongst the people to make connections with them. How can I harness that myself? Well, modern communications means that you can connect with more and more humans, and when the music came to me as quickly as it did, I felt like the spirit moved me to another level, through my artistic purpose, to allow me to serve other humans better. But if America is supposed to be one of the great world leaders, if it’s supposed to be one of the great positive examples on the global stage, then the reality and the whole truth of the situation is that we need to get back to focusing on actually developing that greatness. It’s going to, I hope, take us way beyond where we are right now; it’s going to take us to the places that the space programs dreamed about. America needs to understand that it has to stay focused. Look at how many young minds are interested and engaged in digital platforms – that’s something that needs to be carried through to the truth of itself. Everything would turn out alright if we could do that. You’ve got to remember, when I’m voicing this opinion, that I’m just an old man who’s considered to be an outsider, to have no place in the world. This is something that’s supposed to be for the highly-paid humans to figure out, and I’m not on that scale. But I still care! I really, really care.